Home Sweet Home Veterinary Clinic welcomes you! 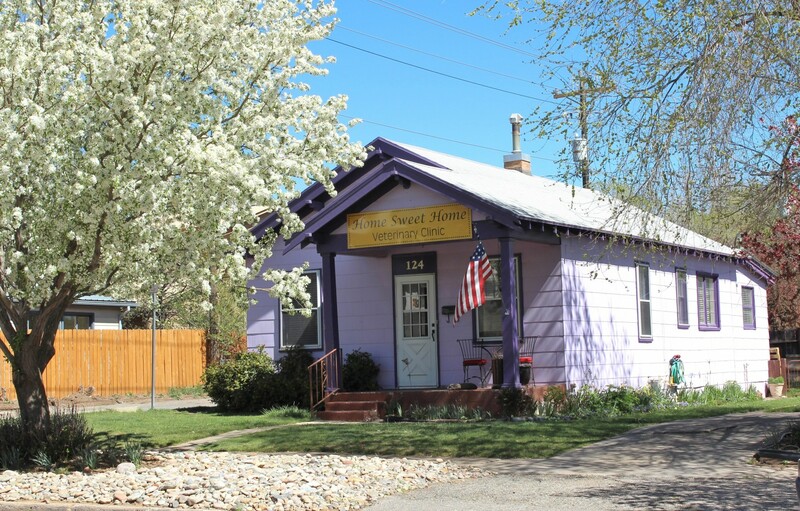 Located in Durango, Colorado, Home Sweet Home Veterinary Clinic provides compassionate veterinary care for your pets! Dr Kirsten Fulton and the staff at Home Sweet Home are committed to providing personalized, friendly care for your pets with an emphasis on client communication, all in a relaxing environment to minimize stress for your pet and yourself. Our goal at Home Sweet Home Veterinary Clinic is to enhance your pets quality of life through a lifetime of preventative medicine and wellness care. Contact us today to make an appointment for your pet! Please browse our website to learn more about our animal clinic and the services we provide for companion animals in Durango and the surrounding areas. Read information in our Pet Library, view videos, take a virtual tour of our veterinary hospital, read testimonials, and find details about upcoming events. Please call our office today at (970)385-4700 for all your pet health care needs.